← What would wholesale academic adoption of social media look like? There’s a very strange article in the Times Higher today which claims that the ESRC’s latest “grant application figures raise questions about its future”. Er…. do they? Seriously? Why? It’s true that success rates are a problem – down to 16% overall, and 12% for the Research Grants Scheme (formerly Standard Grants. According to the article, these are down from 17% and 14% from the year before. It’s also true that RCUK stated in 2007 that 20% should be the minimum success rates. But this long term decline in success rates – plus a cut in funding in real terms – is exactly why the ESRC has started a ‘demand management’ strategy. A comment attributed to one academic (which could have been a rhetorical remark taken out of context) appears to equate the whole thing to a lottery,and calls for the whole thing to be scrapped and the funding distributed via the RAE/REF. This strikes me as an odd view, though not one, I’m sure, confined to the person quoted. But it’s not a majority view, not even among the select number of academics approached for comments. All of the other academics named in the article seem to be calling for more funding for social sciences, so it would probably be legitimate to wonder why the focus of the article is about “questions” about the ESRC’s “future”, rather than calls for more funding. But perhaps that’s just how journalism works. It certainly got my attention. While I don’t expect these calls for greater funding for social science research will be heard in the current politico-economic climate, it’s hard to see that abolishing the ESRC and splitting its budget will achieve very much. The great strength of the dual funding system is that while the excellence of the Department of TopFiveintheRAE at the University of Russell deserves direct funding, it’s also possible for someone at the Department of X at Poppleton University to get substantial funding for their research if their research proposal is outstanding enough. 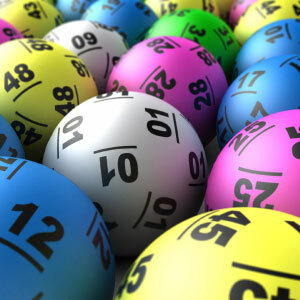 Maybe your department gets nothing squared from HEFCE as a result of the last RAE, but if your idea is outstanding it could be you – to use a lottery slogan. This strikes me as a massively important principle – even if in practice, most of it will go to the Universities of Russell. As a community of social science scholars, calling for the ESRC to be abolished sounds like cutting of the nose to spite the face. Yes, success rates are lower than we’d like, and yes, there is a strong element of luck in getting funded. But it’s inaccurate to call it a “lottery”. If your application isn’t of outstanding quality, it won’t get funded. If it is, it still might not get funded, but… er… that’s not a lottery. All of the other academics named in the article seem to be calling for more funding for the social sciences. According to the ESRC’s figures between 2007 and 2011, 9% of Standard Grant applications were either withdrawn or rejected at ‘office’ stage for various reasons. 13% fell at the referee stage (beta or reject grades), and 21% fell at the assessor stage (alpha minus). So… 43% of applications never even got as far as the funding panel before being screened out on quality or eligibility grounds. So… while the headline success rate might be 12%, the success rates for fundable applications are rather better. 12 funded out of 100 applications is 12%, but 12 funded out of 57 of the 100 of the applications that are competitive is about 28%. That’s what I tell my academic colleagues – if your application is outstanding, then you’re looking at 1 in 4. If it’s not outstanding, but merely interesting, or valuable, or would ‘add to the literature’, then look to other (increasingly limited) options. So…. we need the ESRC. It would be a disaster for social science research if it were not to have a Research Council. We may not agree with everything it does and all of the decisions it makes, we may be annoyed and frustrated when they won’t fund our projects, but we need a funder of social science with money to invest in individual research projects, rather than merely in excellent Departments. This entry was posted in ESRC, Frustrations, Funding, Funding Policy, Research Costs. Bookmark the permalink. I agree with you. In fact I think the whole success rate thing is a very peculiar kind of moral panic. The success rate for applicants at many universities is as low as this, yet somehow this isn’t held to be a problem fundamentaly undermining their admissions procedures. I think there’s a genuine issue with research council success rates. If they drop too low, chance might end up playing too great a part in getting funded, and (more importantly) there will be an awful lot of wasted effort. I think it’s this wasted effort that’s the main problem. Though I’m told that some academics can get a paper out of the process of writing an application. The broader attitude to success rates is interesting. I don’t know if we’ve had it this year, but one of the old complaints about so-called declining standards at GCSE and A Level were complaints that failure rates were too low. So… people seemed to want more young people to have nothing to show for two years’ study to validate the success of others….. which is an odd view to say the very least…. I think you miss the primary argument against the ESRC: it is grossly inefficient. According to the ESRC website each standard grant application costs £10,000 to prepare, administer, review and assess. With success rates at 12%, this means that each successful application effectively costs the HE sector £90,000 before a single research study has been conducted. That is a shocking figure. In July 2010 (the last figures available on the ESRC website) 23 standard grants were funded at an average of £310,000. So nearly 33% more funding would be available to the social science community if the ESRC were abolished and the 23 x (£310k+£90k) were distributed to universities via the QR mechanisms. I don’t think a 25% reduction in funding *for everybody* is a price worth paying for the outside chance that every few years a high quality researcher in a low quality institution will get a grant. Thanks for your comment. It’s great to have more people join the discussion, especially people who don’t agree with me! I think there are two separate issues here, and I’d be interested in your view. One question is whether (in principle) even the most efficient version of the ESRC would be less desirable (however defined) than distributing all the money via QR. Another question is at what point the ESRC becomes such an inefficient way of distributing research funding that we need to look to alternatives. I agree that the ESRC is currently inefficient in terms of the burden of writing and reviewing applications versus the amount of money on offer. But the ESRC has accepted that this is unsustainable, and is taking steps through Demand Management. If they achieve their aim of halving applications (and it’s down to institutional and individual cooperation to see this happen), that halves the overhead. The ESRC are also talking in terms of more office filtering, more outline stages, and so on, to reduce the overall burden. It would be interesting to know what proportion of the strictly notional £10k cost is associated with writing the application, and which with reviewing/processing it. The ESRC are also talking about (though I don’t think they will opt for it) having a Quota system for the number of applications that any individual institution could submit. They could – in this way – essentially set their own success rates, probably at about 1 in 3. Do you think the cost of producing and reviewing the unsuccessful applications in a scheme with a 33% success rate would be an ‘overhead’ worth paying? Or do you think there is no level of application-to-award efficiency that would be acceptable? It’s not clear what institutions would do if they were given the ESRC allocation via QR. I would imagine that some might use it to run their own mini-funding body (which is what I’d guess my own institution would do, and arguably already does) or some other internal scheme, which would have its own overheads in the form of application/review costs. But as I’ve argued elsewhere, institutions are not well placed to make such decisions due to the lack of independent experts without a conflict of interest. Others would perhaps invest it in more staff time, and I suspect in some, the money will just be… if not swallowed up, then at least used to reduce existing deficits, or to help fund the existing payroll. I’m just not confident that transferring the ESRC research budget directly to institutions would necessarily create more social science research bangs for the buck. I’m also far from convinced that the RAE/REF enjoys sufficient confidence in the academic community to be the sole distributor of social science research funding, as it seems to me that academics tend to be more critical of the REF as a way of distributing money than the RCs. I think your comment about the “outside chance that every few years a high quality researcher in a low quality institution will get a grant” is a little unfair. Of course, definitions of “low quality institutions” may vary, but there’s a fair amount of institutional diversity in the ESRC awards outlined in their last annual report. I do think that an efficient ESRC is a desirable thing. However I think they’re going about improving their efficiency in completely the wrong way. In particular, you’re wrong to say that halving submissions halves the overhead rate. Perversely, reducing applications by having a quota or increasing pre-submission internal review won’t actually reduce the current inefficiency figures much at all: the time cost in writing a proposal to me is the same whether my application gets rejected internally or externally. It seems to me that the ESRC’s proposals will just make inefficiency figures less easy to calculate. If I were in charge of the ESRC I would dramatically reduce the length of application forms. Doing this would, at a stroke, substantially reduce the cost of preparing and assessing grant proposals. There’s no reason why this wouldn’t function perfectly adequately: the extremely prestigious (and financially lucrative) Royal Society University Research Fellowship scheme operates with the following application form: 1 side of A4 for an abstract, 1 side for a lay summary, 2 sides for the proposal plus various trivial to complete career details and financial sections. Compare that to the absurdly lengthy ESRC form (many sections of which I totally ignore when reviewing proposals). So I agree with you that if an efficient system for allocating ESRC resources could be devised (and I think the Royal Society model would be a decent starting point) then the dual funding system is valuable for the reasons you outline. But I see no sign of the ESRC wishing to devise such a system. Re. your other point, about what institutions would do if they were given the ESRC allocation via QR. I think you’re right that this would impose a application/review cost onto institutions, but they would be able to manage this in a sensible way, designed to maximise efficiency. For example, in the last three years I’ve been awarded two grants totalling about £50k from an internal university competition (for a one-year RA post and some expensive equipment). For one of these competitions the application form was 150 words, the other was one side of A4. My point is that when the person setting the rules of the competition would be wasting their own resources by having complex application systems there is an incentive to reduce complexity. The ESRC currently has no such incentive. You’re right – halving the number of submission rates doesn’t halve the overhead, and I’m not quite sure why I said it would. It does halve the reviewing cost, but it also may reduce the cost of writing the applications – I don’t see that institutions need to require *full* applications before making a decision about which to support. For schemes where the institution already has a filtering role, all institutions that I’m aware of do it through a short summary, much in the manner that you suggest. So halving the number of applications will have the number of reviews, and may well reduce the cost of writing applications that are unsuccessful at any institutional stage. The ESRC do have ‘outline’ stages for Future Research Leaders and for Centres and Large Grants. But you’re right, there don’t seem to be any plans for this for (standard) Research Grants, and I was very surprised that they haven’t done it for Professorial Fellowships. I’m certainly in favour of more outline stages, but the problem is that it makes the whole process much slower. No doubt there has been substantial “form creep” on the ESRC application form, but I’d be interested to hear which sections you ignore while reviewing proposals. During the consultation exercise I was thinking about how the form might be cut, and I didn’t arrive at a settled answer, other than (perhaps) reducing word limits across the various sections. I wonder if it’s easier to explain research projects in some academic disciplines in less space than others.